Fire Line is an interactive narrative style game where the player is left to observe the game environment before being able to interact with it by carrying out a single key gameplay decision. The prototype was developed over a period of about six months as a personal project (entering full development phase in late January/early February 2012), with additional concept art work done by Amr Din and music composed by James "Axyss" Webb. 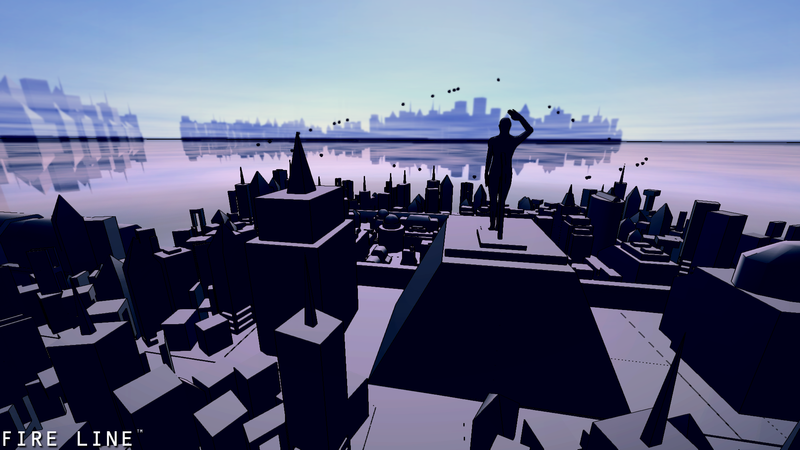 The prototype was developed using Unity 3D Pro. I started developing Fire Line as a prototype after my initial concept idea was turned down by my university for funding. I then decided to drastically change the overall design of the game and instead focus on making Fire Line an interactive narrative style game, with a strong focus on researching and developing group and agent AI simulation techniques. Overall, I'm quite happy with the end result of the prototype. 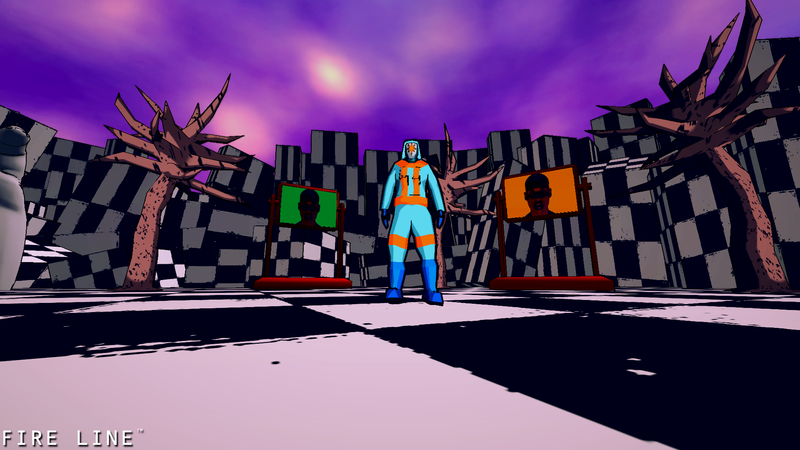 Fire Line is set in an alternative present where the player takes control of a character belonging to the mysterious "Chaos" resistance movement. The players character is tasked with infiltrating the flooded dystopian city of Zone 8 and destabilizing the brutal regime of Father X. The players character hopes to accomplish this by planting and detonating a bomb in their backpack, in the main government administrative district of Zone 8. Fire Line takes inspiration from literary works such as 1984 by George Orwell, the punk attitude of Ryu Murakami's Coin Locker Babies and the state-control overtones of Alan Moore's V for Vendetta, as well as subconscious inspiration drawn from the audio visual elements of Pink Floyd's The Wall. The first key feature of Fire Line is it's attempt to simulate complex crowd behaviour and modelling using a combination of various interactive AI agent simulation techniques. The main technique that is used to achieve this is flocking behaviour modelling along with game entity scripting techniques used to control the direction of movement of the AI agents using systems such as way points, triggers and game logic condition testing. The combination of these techniques allows for modelling of crowd and group behaviours under various gameplay circumstances and at varying levels of complexity. The two main gameplay circumstances highlighted in Fire Line are simulated game environment interaction with other NPC (Non-Playable Characters) and emergency response crowd modelling. The later concept is demonstrated by allowing the player to detonate a bomb in the final level of the game. This lets the player to observe the AI entities response to such a situation. The second key feature of Fire Line is it's attempt to explore the relationship between player morality and game mechanics. This is enabled by allowing the player to detonate a bomb in the final scene of the game. The player does not get to control who the bomb blast will effect, and thus, the player may end up killing innocent civilians as well the regime soldiers. It is up to the player to decide and explore their own understanding of morality by presenting them with the question of "Do You Think You've Won?" at the end of the game, along with displaying the statistics of how many regime soldiers and how many civilians were killed in the player controlled bomb detonation. The third key feature of Fire Line is an attempt at making an interactive narrative game, where the majority of the gameplay consists of the player observing the game environment around them and allowing them to take control of the a key decision that affects the core outcome of the gameplay scenario. This makes Fire Line a more of an experimental game in a sense that the player is left to observe their surroundings and to decide for themselves how important their final gameplay action is. A very special thank you goes to Amr Din for dedicating his time and doing the 2D concept art for Fire Line (as well as providing guidance on the visual aesthetics) and to James Webb for the effort he put into composing the music score for Fire Line. I hope that you enjoy the Fire Line interactive narrative experience. As promised, I’m releasing the Mac version of Fire Line. You can download it here now. This is the universal binary Mac OS X version of Fire Line, that *should* run on all most recent Mac systems. I have not tested it myself (because I don’t have a Mac), but I’m going put my trust in the Unity 3D project compiler and builder (at least this time, don’t ask about all the Mono Develop related script compilation crashes…). Therefore, I would like to ask the Mac OS X users of this wonderful ModDB/IndieDB community if you could please provide some feedback on whether or not the Mac version of Fire Line works properly. I would really appreciate it. And no, you can't buy these (unless you find a copy in a charity shop, then yes by all means you can). Fire Line Released and Ready For Download! 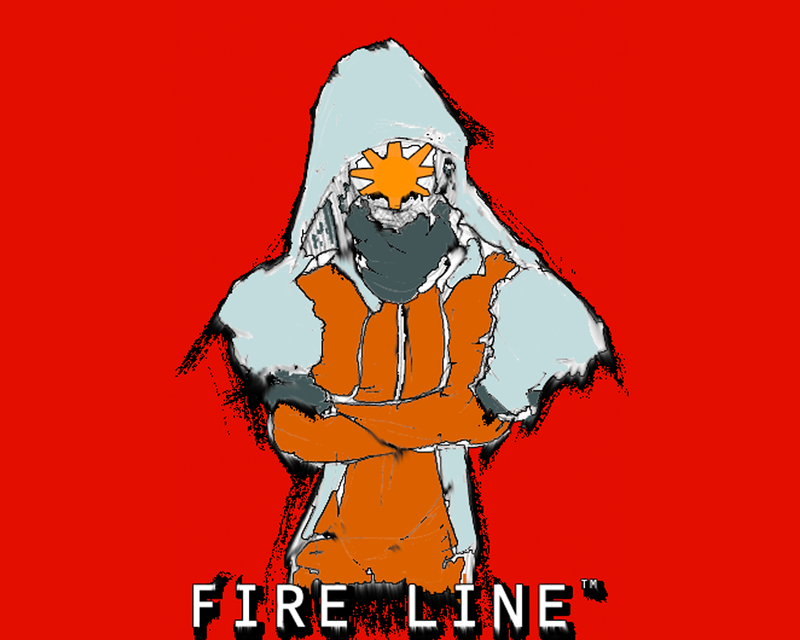 Fire Line has been released to the general public and you can download and play it now! One final pre-release screenshot and a excerpt from the games narrative, as told by the games protagonist. Fire Line is almost done...and here are three new screenshots. 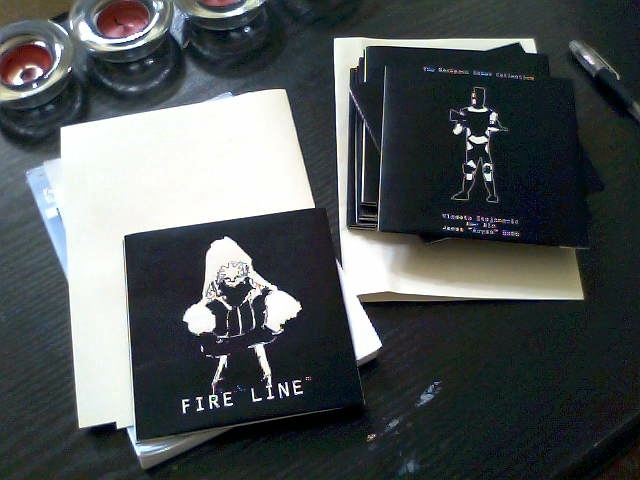 The Fire Line soundtrack, composed by James "Axyss" Webb. MP3, 128kbs. Fire Line - An interactive narrative prototype by Vladeta Stojanovic. That intro is way too long. 6 (maybe more?) cutscenes, all that text (which can't be skipped OR slowed down? ), that took at least ten minutes to wade through. I blew myself up at the first opportunity. Please condense. keyboard (I wrote this in the readme file included with the game). yeeehaaa ! 5 soldat killed and 0 civilian ! like a boss ! But... what if i have not win ? That is up to you to decide. You have to evaluate the effectiveness of your action and it's consequences in regards to how many people you end up killing and/or injuring in order to fulfill your objective. Awesome work...you can't see any gameplay mechanics, but the atmosphere itself is takes you in so fully - it's masterfully done.Great work and can't wait to see more. Tracking! looks crazy kool. the music is soothing for the scenary too.its mysterious enough to follow. Although the video compression is a bit low def, so I'm going to be uploading a high def version with better hi-def video and audio compression soon (probably when I release the gameplay trailer along with the game).